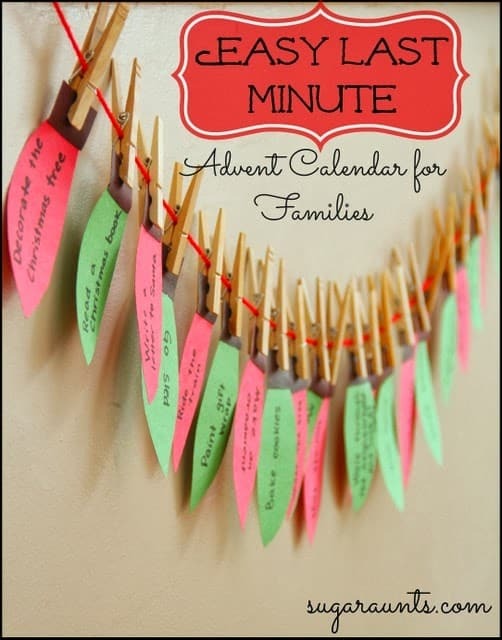 12 last-minute Advent ideas to provide some helpful and simple ideas for this Advent season! Thanksgiving was lovely (and busy), but now the laundry is piled up and the rest of the house is also needing attention. We got the Thanksgiving decorations taken down and the Christmas ones put up, but I still haven’t had time to work on Christmas plans. This year I found myself waiting until the last minute to plan for advent. 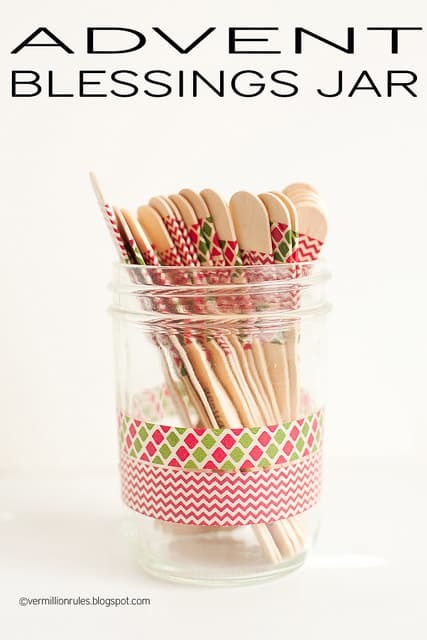 So, I went in search of some really simple plans that wouldn’t require much preparation or a trip to the craft store. 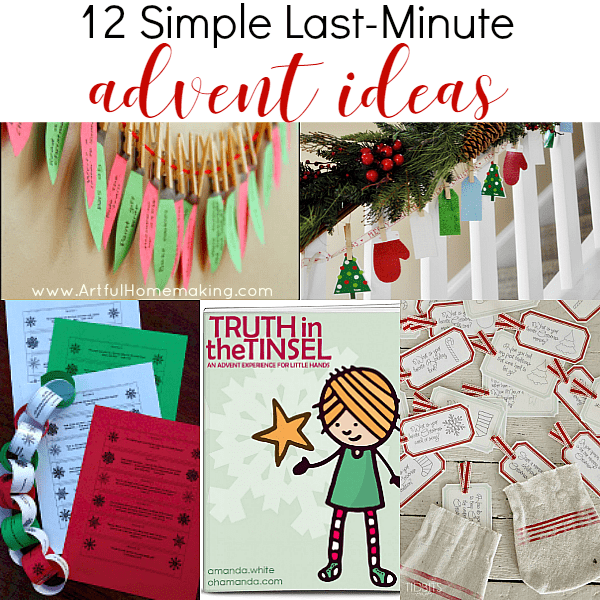 Here are 12 Last-Minute Advent Ideas in case you’re needing these too! 🙂 Most of these are so simple you could probably get them done today! Several years ago I made a Christmas book advent calendar. This is a super-simple project. Just wrap 24 Christmas books and take turns unwrapping and reading one a day. That’s it! You can also intersperse activities in with the books. When we did this years ago, we only had 12 Christmas books (we’ve since acquired more! 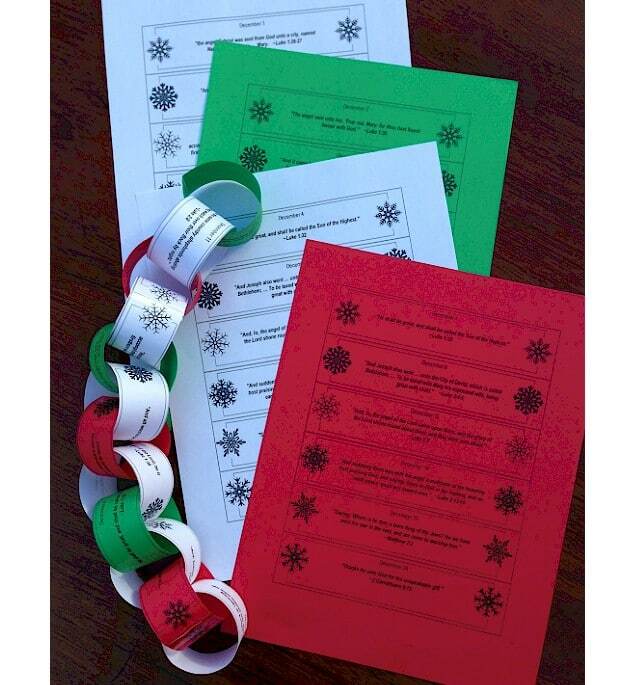 ), so we also included envelopes with an activity to do on alternating days. This is another great last-minute idea. 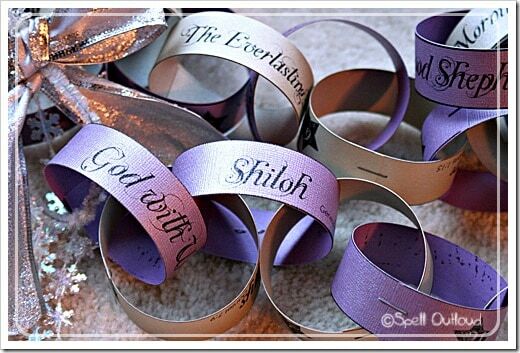 Print the verses, cut them out, make a chain, and then read one of the verses each night leading up to Christmas. Put the focus on blessing others this Christmas season, and perform one act of kindness each day during the advent season! 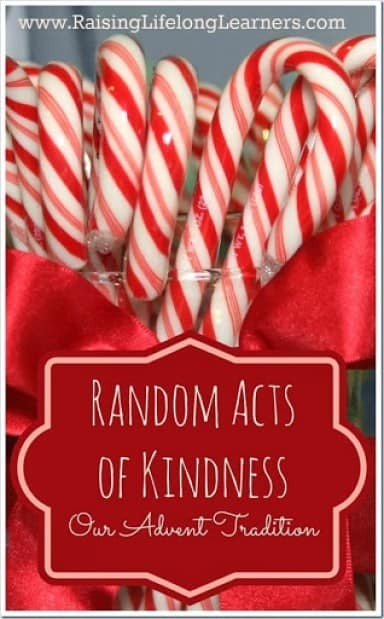 Here’s another idea for encouraging gratitude and also blessing someone else. 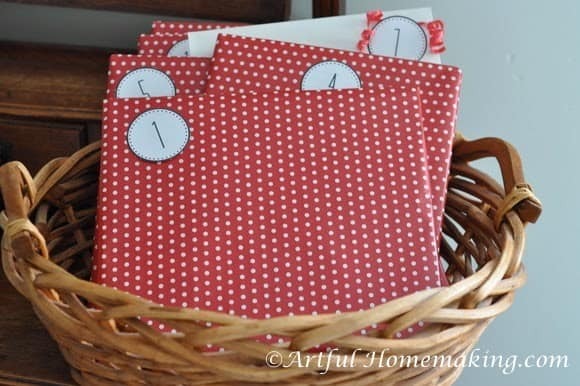 This calendar would be easy to make with supplies you already have on-hand! 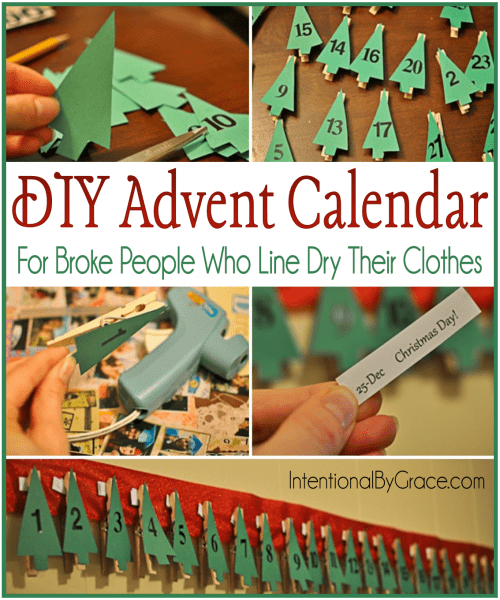 This is another simple advent calendar that uses clothespins you already have on-hand! 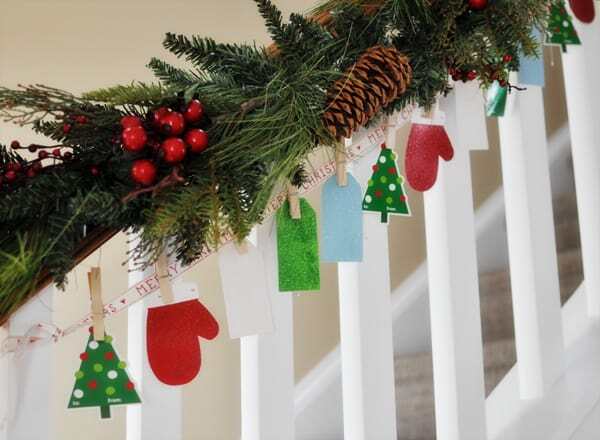 Use gift tags, ribbon, and clothespins to make this simple advent calendar! Just write the daily activity on the back side of the tag. This is a beautiful and meaningful way to celebrate the Christmas season, with the focus on Jesus. Read a scripture every night, starting on December 1st. 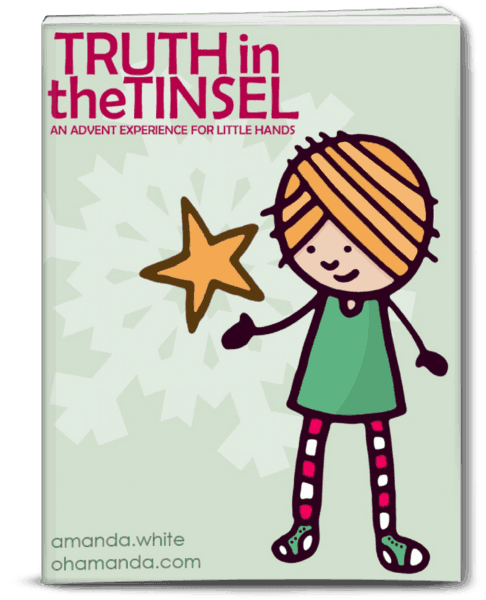 We used Truth in the Tinsel last year (you can see some of what we did here and here). This book can be as involved or as simple as you want it to be. Last year we made the ornaments, but you can also get the printable ornaments, which makes this a great last-minute advent idea! 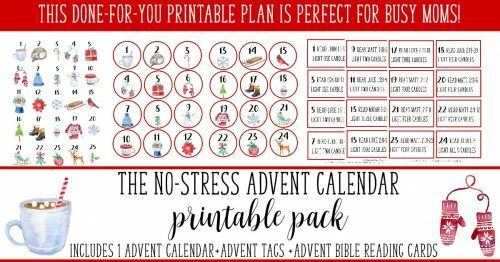 If you’re still needing a simple plan for Advent, try this Stress-Free Advent Calendar printable pack, which you can get for free here! 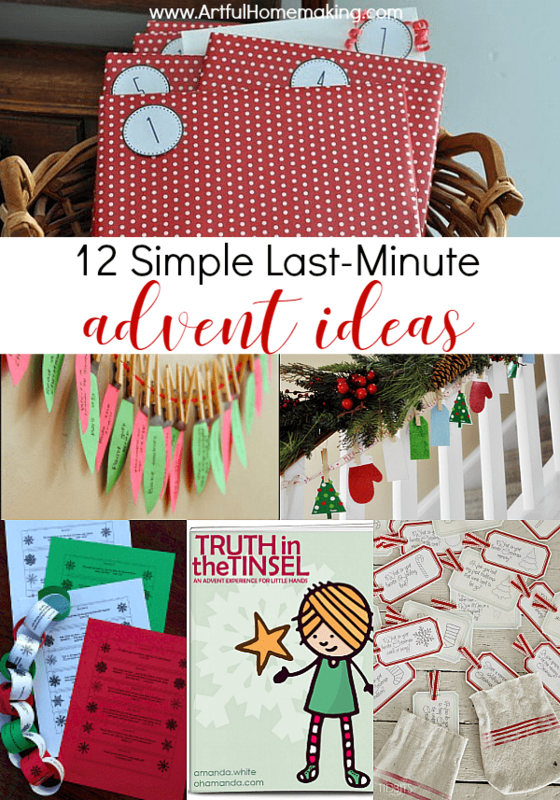 This free printable pack gives you a couple of options for Advent calendars and also an Advent Bible reading plan. We use this recipe for Christmas cookies. 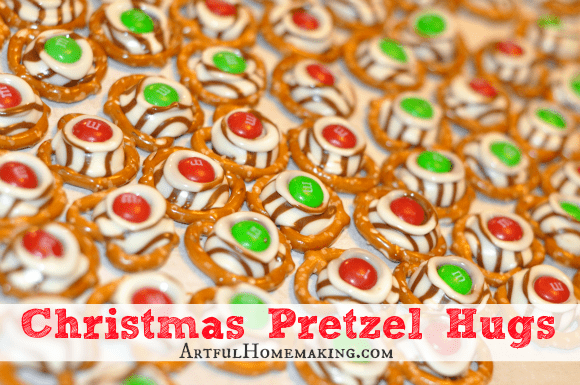 These Christmas Pretzel Hugs are so yummy! 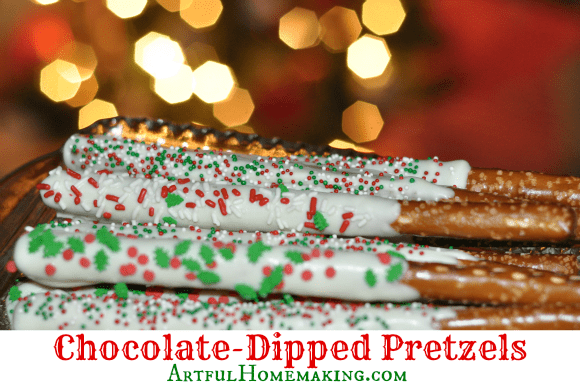 And we always have to make Chocolate-Dipped Pretzels! 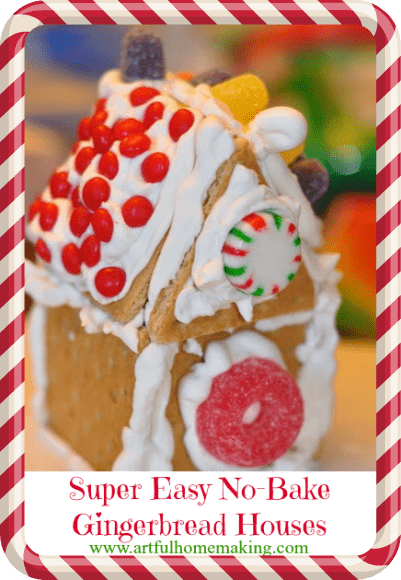 We’ve been making these simple, no-bake gingerbread houses ever since my older children were little. Even my teenagers still look forward to it every year! How are you celebrating advent this year? I’d love to hear about your plans! This post contains an affiliate link. Read my full disclosure here. Sharing here. Happy Thanksgiving + My Favorite Black Friday Deals! I want to eventually buy a wooden cabinet advent calendar in which I can put what I choose, chocolate, candles, activities, ornaments. I love advent calendars! 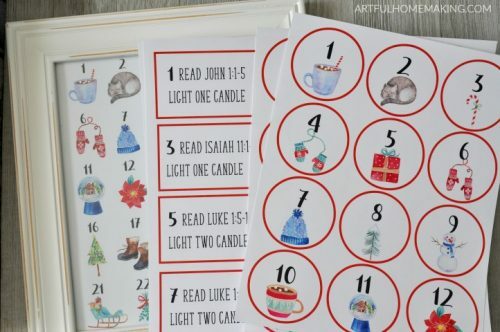 A wooden cabinet advent calendar would be adorable! Love these, especially the service-based ideas! 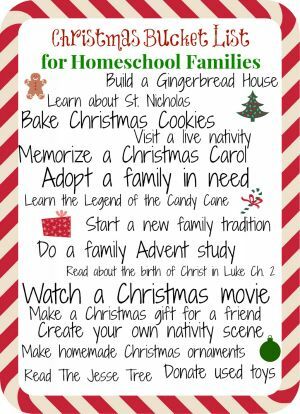 We did this a couple years ago with our kiddos, -‘d it was wildly worthwhile. http://untoadoption.org/raising-cheerful-givers/ I’d never heard of the names of Jesus rendition, and I love the simplicity of the scripture reading plan. Good stuff! Thanks for sharing, Mia! So glad you stopped by today! 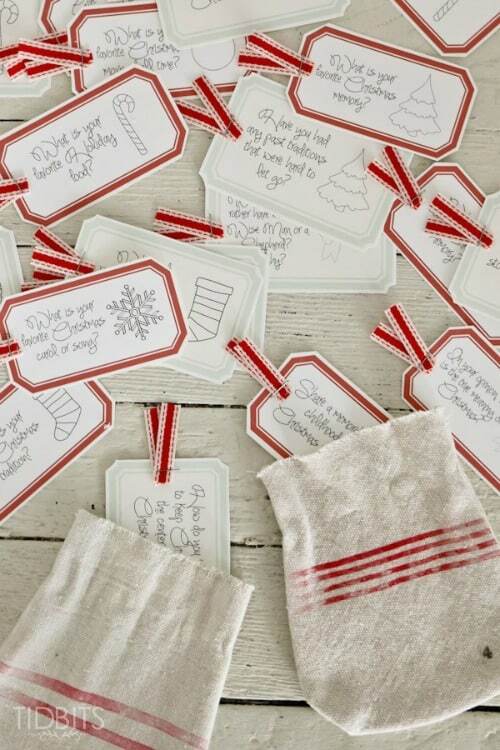 I love that these ideas are simple to perform, yet so meaningful and focused on the purpose of the Christmas season. Thanks for sharing!